A Washington police department said it has opened a use of force investigation on Monday after a video showed an officer using pepper spray on a boy and kicking him in the back. The video, which captured the police officer kicking the boy to the ground as nearby officers yelled "get on the ground," had accumulated nearly 285,000 views on Facebook as of early Tuesday. 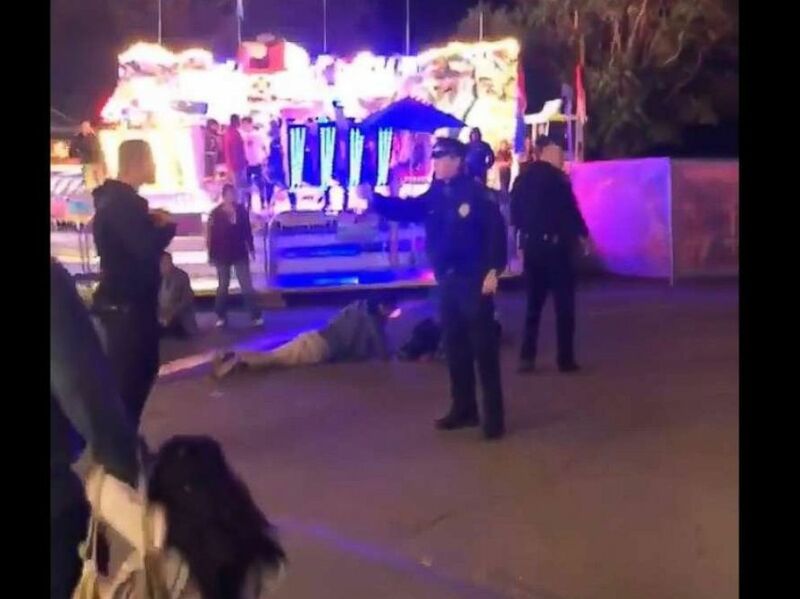 The Yakima Police Department acknowledged that the officer had used "force while effecting an arrest” on Sunday during the Central Washington State Fair in Yakima, about two hours southeast of Seattle, but it did not provide additional details. It did not disclose any information about the officer in question. 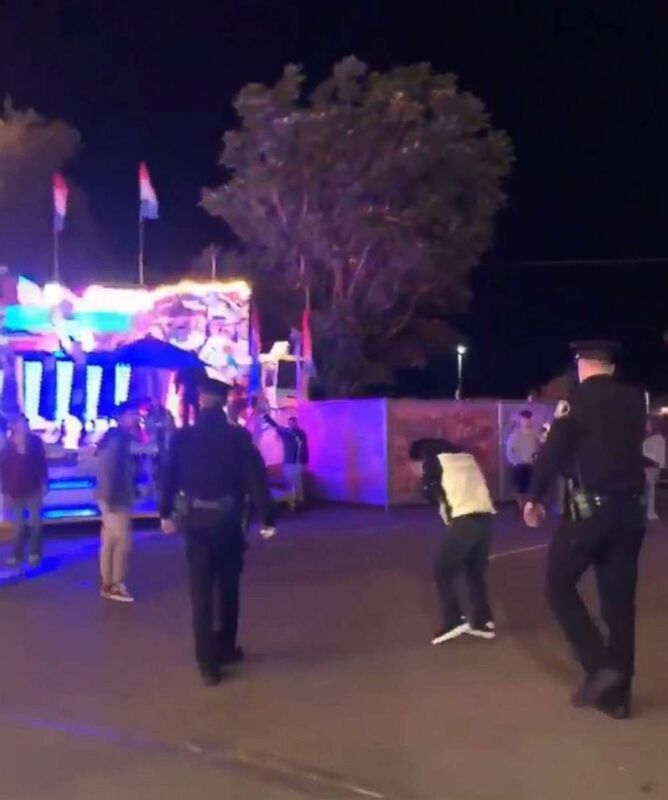 Police said a video showed an officer “using force while effecting an arrest” at the Central Washington State Fair in Yakima, Washington. Yakima’s interim police chief, Gary Jones, issued a statement on the police department’s website and Facebook page Monday night, asking witnesses to come forward with any information that may help the investigation. The department's Facebook post had hundreds of reactions and comments by Tuesday morning, with a majority of users expressing outrage over the issue, including some who questioned if the boy might develop spinal injuries due to the impact of the kick. “The Yakima Police Department has been made aware of a video posting that involves a Yakima Police officer using force while effecting an arrest last night,” Jones said Monday. “Maintaining public trust is one of our highest priorities, and in doing so, investigators will be collecting all available evidence as it pertains to a use of force review. “Anyone with information concerning this event is encouraged to contact the department and share what information they may have,” he added. Jones did not disclose the boy’s age or identity, but a witness told ABC News the boy was a student at Wapato High School in Wapato, Washington. Jasmin Hernandez Cervera, who shared video of the incident on Facebook, said the officers were responding to a chaotic brawl that involved about 15 “young” boys. She said it looked like "any high school fight." A Washington police department opened use of force investigation on Monday after video showed an officer kicking a boy in the back. It’s unclear if charges were filed in connection with the incident, but Cervera said the boy was escorted out by police. “They were young,” Cervera said. There were no weapons involved, just “kids swinging at each other,” she added. Bill Pickett, who identified himself as the boy’s attorney, called the officer’s conduct “abusive and unacceptable,” according to the Yakima Herald. Pickett's law firm did not immediately respond to ABC News' request for comment.